London – There are no lack of good Michelin restaurants in London, roast ducks, and without surprise, cafes and options for afternoon tea. Here’s our guide of the noteworthy spots to satisfy your caffeine fix and brunch cravings. Shopping around Oxford Street and need a quiet space for coffee sounds like mission impossible. 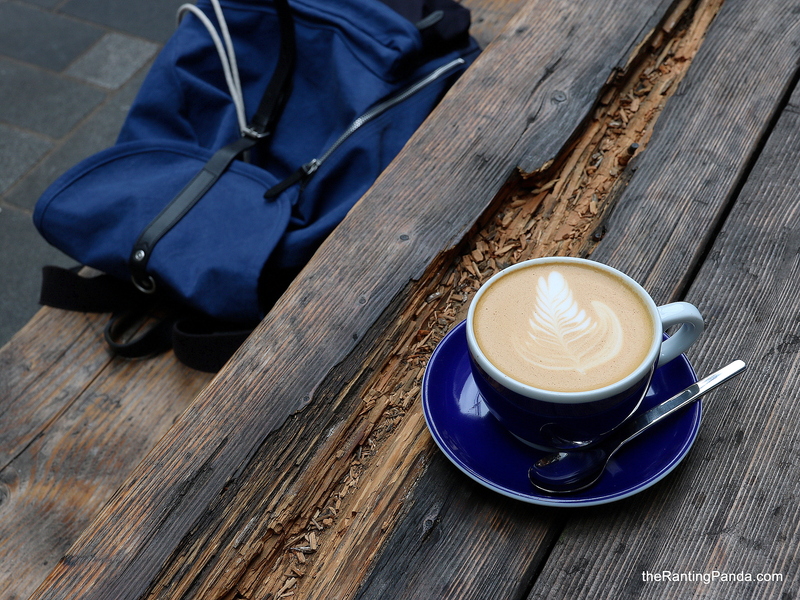 Thankfully, we wandered to Workshop Coffee inside St. Christophers Place, a small and cosy cafe with a simple interior and rustic tables outdoors. This is the brand’s second outlet after its original Marylebone Coffeebar on Wigmore Street. We enjoyed the medium-bodied coffee and the friendly service. The Wolseley excudes an old European grandeur in its ambience. Formerly a car showroom and bank, the all-day dining cafe and restaurant today is a popular spot if you fancy dining in an old European interior. We stopped by for breakfast, which we can’t say is the best we had and our visit were driven more by our curiosity of the place and rich history behind it. Prices here are significantly higher than any other cafes on this list. The neighbourhood of Shoreditch is one of me favourite in London as it is less touristy as compared to the usual spots. The cosy space of the Allpress Espresso Bar here is a good option after having a meal in the vicinity such as Lyle’s to satisfy your caffeine fix. I like the minimalist look and concise food menu which offers simple grubs such as toast and eggs, and not forgetting the solid coffee as well. Reserve well in advance, that’s if you are keen to check out one of London’s most popular Afternoon Tea experience. There are multiple dining concepts within Sketch, but if you only have time for one, go for the classic Afternoon Tea experience at The Gallery. Decorated in pink hues, the whole dining ambience is a luxe affair with live classic music, three-tier tea set with a caviar man at your disposal, and unbelievably, one of the prettiest toilet you must check out as well. Our biggest gripe is the service, which wasn’t as attentive as the hefty price tag commands. If you are looking for a cafe near Oxford Circus in West End London, The Riding House Cafe is a worthy destination. Spacious, nice natural light in the day with a rustic ambience and wide variety on its menu, you can’t go wrong with the avocado toast or eggs benedict. With outlets in popular Borough Market and Covent Garden, Monmouth Coffee is perpetually packed when we visited both outlets. Nothing fanciful except a solid coffee selection and some cakes to go along. Forget about snagging a seat, opt for takeaways instead. We love the magazines, that’s a given fact. There aren’t many Monocle Cafes worldwide, London being one of the lucky cities. This hip cafe in Marylebone does Allpress Coffee, as well as a pretty solid food menu of sandwiches, chicken curry and Scandinavian breakfast. If a Monocle Cafe is not enough, head to Paddington for Kioskafe, another concept by Monocle though the space here feels more like a hipster bookstore with a coffee kiosk within. Grab a coffee, take it slow and you are free to browse through the wide range of magazines, Monocle included of course. It’s really amazing how many good cafes we tried in London so far. TAP Coffee at Wardour Street has one of those chill-lax vibe which you just want to have a good cup of flat white and a good book at hand. Options are aplenty with filtered coffee and espresso as well as light bites like cakes to nibble.